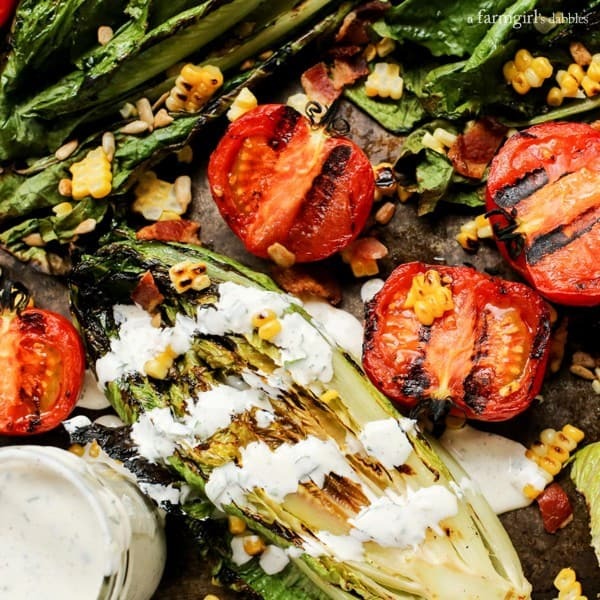 Grilled Romaine and Tomato Salad with Bacon and Homemade Buttermilk Ranch Dressing…summer salads just don’t get any better than this! Summer entertaining is my favorite entertaining. The nicer weather allows us to spill out of our smaller home, in to the 3-season sunroom and on to the backyard deck, under the umbrella of tall shade trees. 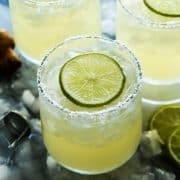 Summer entertaining also means grilling, my favorite means of feeding a group of friends and family. Sometimes it’s super casual with burgers, brats, and hotdogs. Other times we put a bit more effort into it, grilling up a surf ‘n turf meal of jumbo Caribbean jerk shrimp appetizers and sweet and smoky salmon, plus perfectly grilled ribeyes. 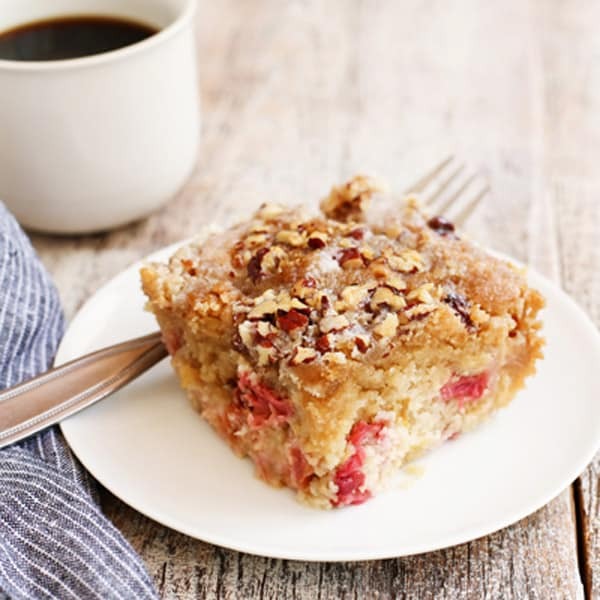 Whatever the menu, I’m always looking for a fresh and beautiful (and easy!) 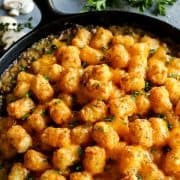 side dish to serve alongside the grilled entree. 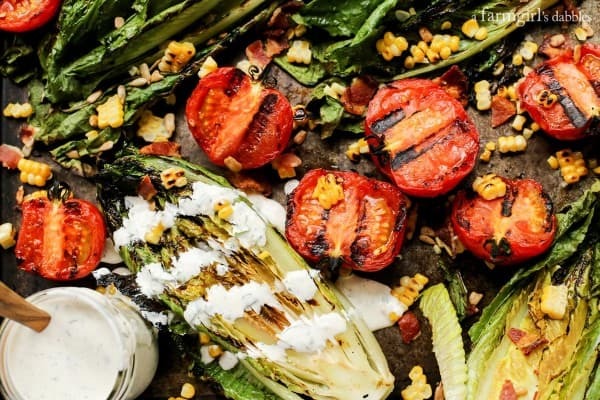 And this summer has this recipe written all over it: Grilled Romaine and Tomato Salad with Bacon and Homemade Buttermilk Ranch Dressing. 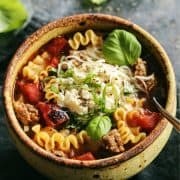 It’s so good, and so easy to prep ahead of time. We’ve made it three times since I photographed this post. 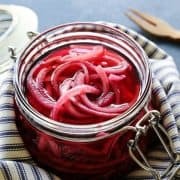 Yes, you need this recipe for your summer entertaining plans! * This post was created in partnership with Bushel Boy™ Tomatoes. When I was buying the Bushel Boy vine-on tomatoes for this recipe, I couldn’t help but snap a picture of the store display. Not only was this scene gorgeous, piled high with red, juicy tomatoes, but I love how the sign announced how far the tomatoes had traveled to get to my own local store. Just 74 miles! 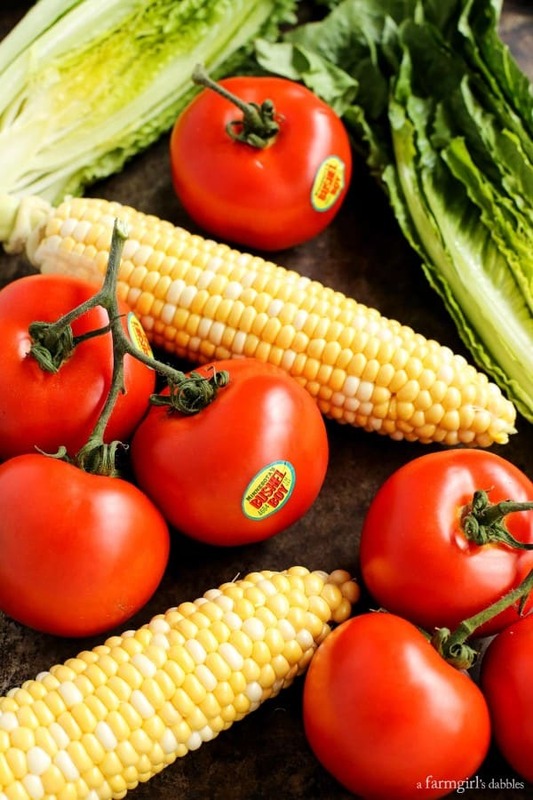 Click here to find out where Bushel Boy tomatoes are available. Be sure to also check out Bushel Boy on Facebook. Bushel Boy tomatoes are grown right here in Minnesota and I’ve been serving them to my family for as long as I can remember. At Bushel Boy Farms, they grow fresh, vine-ripened tomatoes year-round, in greenhouses that are buzzing with bumblebees. 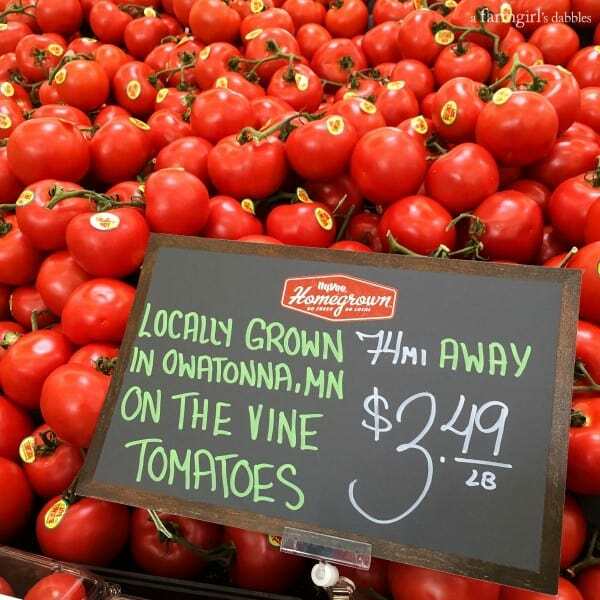 The tomatoes are vine ripened to ensure full flavor, and are only picked when they’re red, ripe, and juicy. Tomatoes are packed full of beneficial nutrients and antioxidants. 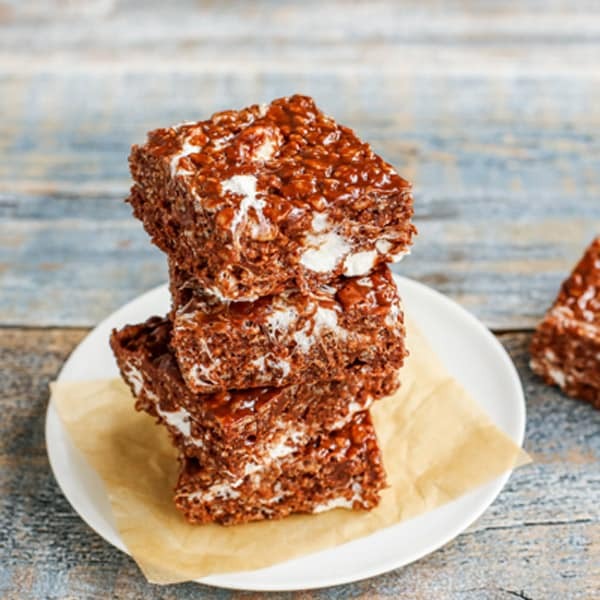 They are often referred to as a “super food”, a nutrient-rich food considered to be especially beneficial for health and well-being. You can read more about the health benefits of tomatoes here. The first time I ever ate grilled romaine lettuce was on a blogging trip to Oregon. Before taking my first bite of that grilled Caesar salad, I was admittedly skeptical. But that one bite was all it took to convince me that the grill and fresh romaine are a match made in heaven. 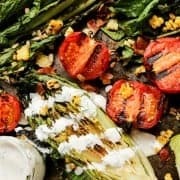 With this recipe, I took the grilled romaine salad just a bit further by also grilling fresh, juicy tomatoes and sweet corn. The grill helps to intensify the flavor of the tomatoes, and adds a nice smokiness to everything it touches. A summer salad just doesn’t get any better than this. 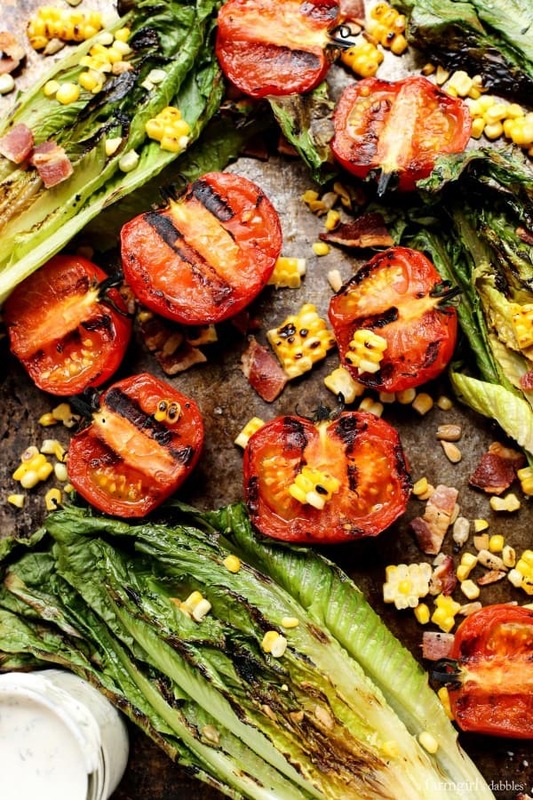 This grilled romaine and tomato salad is so easy to prep. Simply slice romaine heads in half lengthwise and slice the tomatoes in half through the stem (if you cut horizontally through the middles, the tomatoes will be looser and won’t grill as nicely). Brush a light coating of olive oil over the the romaine, tomatoes, and ears of corn, and then sprinkle with salt and pepper. They’re ready to hit the heat of the grill! The charred marks from the hot grill grates not only add awesome smoky flavor, but also so much beauty. I like to serve this salad super casually, on a large sheet pan, just like you see here in my photos. 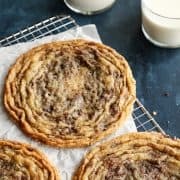 Sprinkle some cooked, chopped bacon over the top of the grilled goodness and serve the salad with my creamy homemade buttermilk ranch dressing. Once you try this tangy, garlicky dressing, you’ll never want to eat any other! 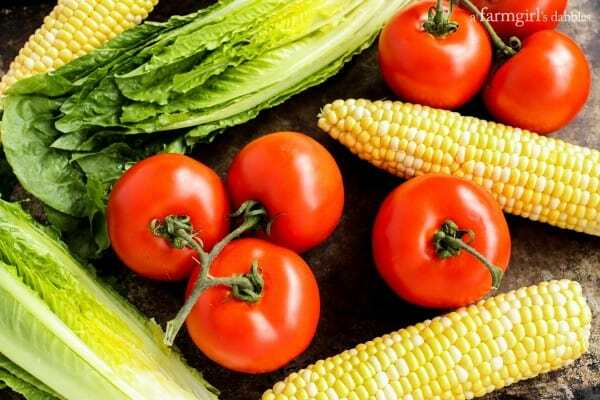 Lightly brush both sides of the romaine, the cut sides of the tomatoes, and the corn with olive oil. Sprinkle with salt and pepper. 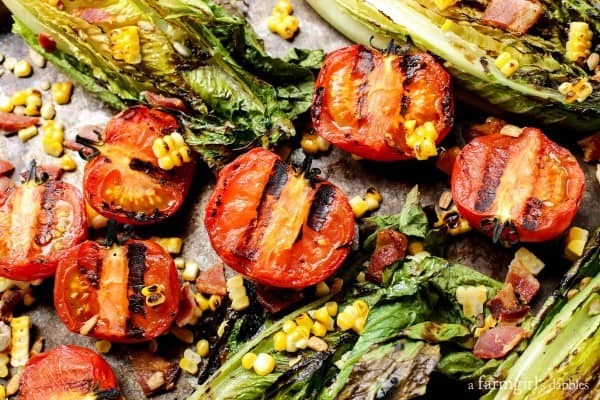 Place romaine and tomatoes on grill grates, cut sides down. The romaine is the most tender and should cook the fastest, but this will also depend on your own grill and heat. With a tongs, flip romaine over after the cut sides are nicely charred. I have found that I like a healthy amount of char to the romaine, as it adds so much nice smoky flavor. Check the tomatoes after they have been grilling for almost two minutes. They will take a little longer to achieve a solid char. As the corn chars, roll the ears to grill all sides. 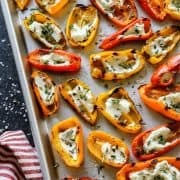 Have a large platter or pan ready, to pull items off as they finish cooking. 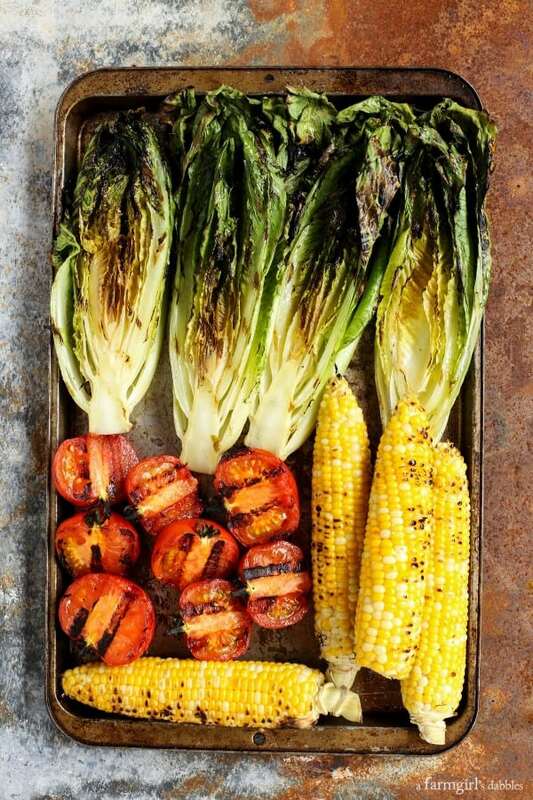 Arrange grilled romaine and tomatoes on a large serving platter or rimmed pan, overlapping as needed. Sprinkle with grilled corn kernels, bacon pieces, and sunflower nuts. Finish with additional kosher salt and freshly ground black pepper, to taste. 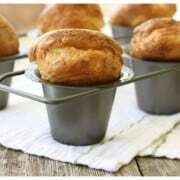 Serve with homemade buttermilk ranch dressing. 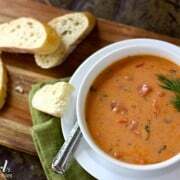 This post was created in partnership with Bushel Boy Tomatoes, a local Minnesota fresh tomato company. All text and opinions are mine. Thank you for supporting the brands that help make this site possible!